Built in 1915, the Rapid City firehouse is one of the city’s most unique and interesting landmarks, listed on the National Historic Register. But it’s what’s housed inside that’s attracting visitors these days. 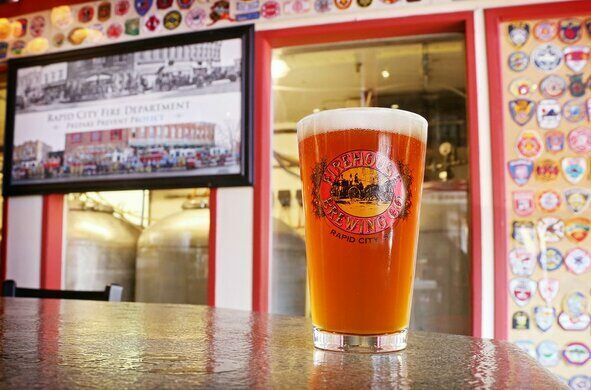 Inside “The Firehouse,” as it is called by locals, is South Dakota’s oldest operating brewery. 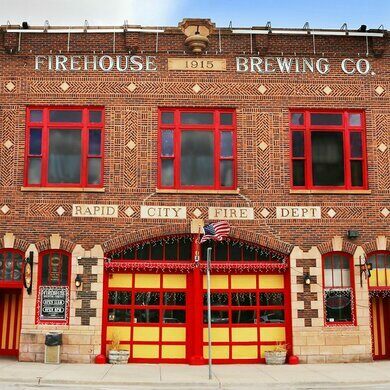 The bar is adorned with authentic South Dakota firefighting memorabilia from the days of Rapid City’s first fire brigades—including the original fire pole, ladders, and patches. 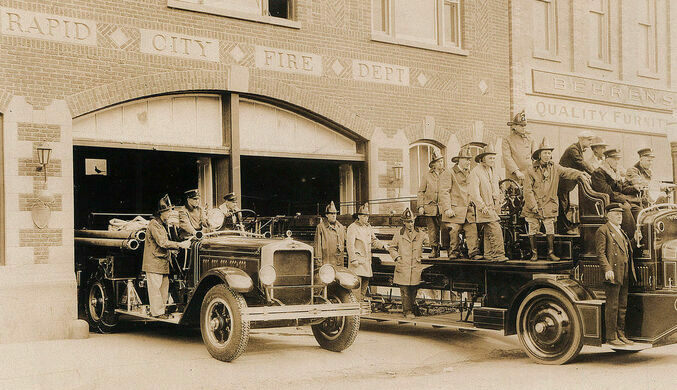 Rapid City’s early fire department consisted of three hose companies organized in 1881 and a hook-and-ladder company. The department became formally organized in 1907, and in 1915 this fine new fire hall was built. The two-story building, constructed of brick and Fall River sandstone, exemplifies the Chicago School architectural style. Following the practice of urban fire departments in those days, this one was built with living quarters for firemen, as well as offices, on the second floor. The fire trucks were downstairs, and the firefighters slid down a smooth brass pole when the fire call came in. 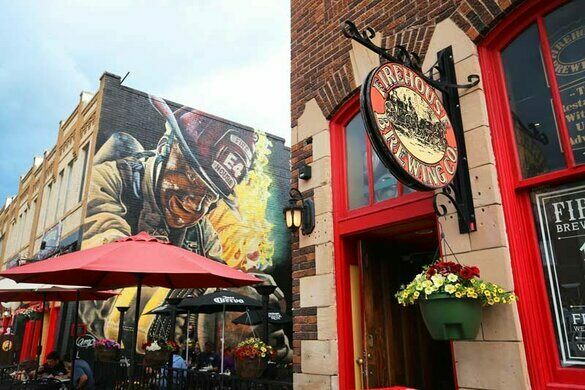 Now home to Firehouse Brewing Company, the building still has its fire pole.